Beyond the Fur is a book that will transform the relationship you have with your animal campanion. Learn more about this unique book. I think all animal lovers can attest that the human and animal bond can be special and unique. So special that the bond can seem almost mysterious. Think about it, humans and animals do not share a common language, yet somehow we can communicate and even develop a type of relationship where either or both are freely willing to protect the other. A relationship where they will long for each other when apart. Stories abound with how animals have done some amazing things to help or to save their person. Therapy animals are in big demand due to their positive healing effects on people. And studies have attempted to provide scientific evidence as to WHY and HOW. Some of these stories are just outright hard to believe or understand. Although we struggle to explain the WHY and the HOW – we can’t deny that something truly amazing is going on with the interactions between human and animal. Very few people have an ability quite like Tammy Billups – to decipher and provide insight into this realm of communication between humans and animals. Tammy, a certified bioenergetic therapist, provides assistance for pets with behavioral issues or physical ailments, and helps clear emotions and traumas rooted in their past experiences. Over the years, she has helped countless numbers of pets as well as people. She is now in the process of writing a book, which she says will “transform your relationship with your animal companion”. Tammy further explains that the book, titled Beyond the Fur: Revealing your animals’ profoundly spiritual and healing messages, will “raise your awareness and your level of consciousness about the messages they [the pet] are really wanting you to know”. For the past 11 years, Tammy has donated her services to animal rescue groups in Georgia. Her generosity toward animal rescue continues through her book. For support in completing and publishing her book, she has turned to crowdfunding. 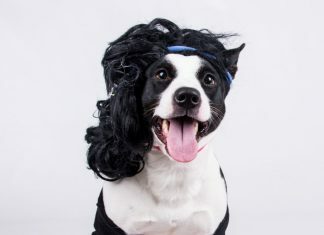 Through the different donation levels, she has weaved in rewards in support of animal rescues – like getting your favorite rescue’s organization name in the book and donating sessions to orphan animals. Once printed, she commits to donating a percentage of her book sales to non-profit animal rescue organizations. Check out her video below, as she describes how she was inspired and why she wants to share some of her special experiences.